Yarn Type SALE 50% OFF! A favourite with knitters and comes in a range of soft colours and marls that work well for all the family. 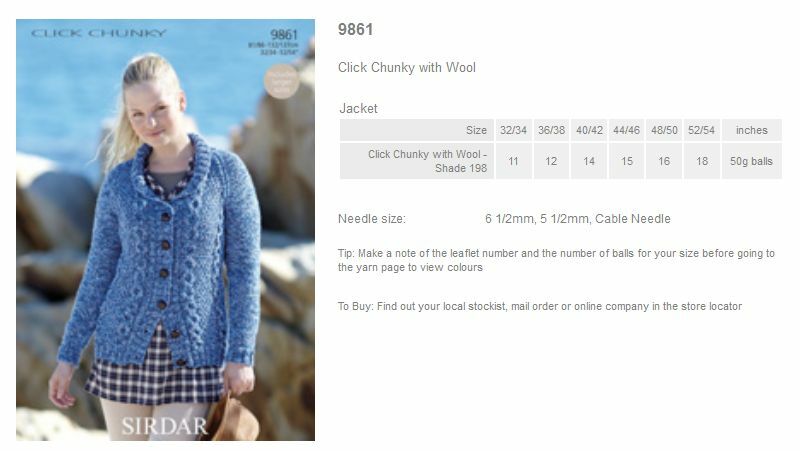 If you want to knit your first Chunky yarn, Click is perfect for you and knits up quickly too. Click Chunky’s wool and acrylic blend will keep its quality through repeated machine washing. 70% Acrylic, 30% Wool. 9 designs in Click Chunky for women and girls for 2 to 13 years. 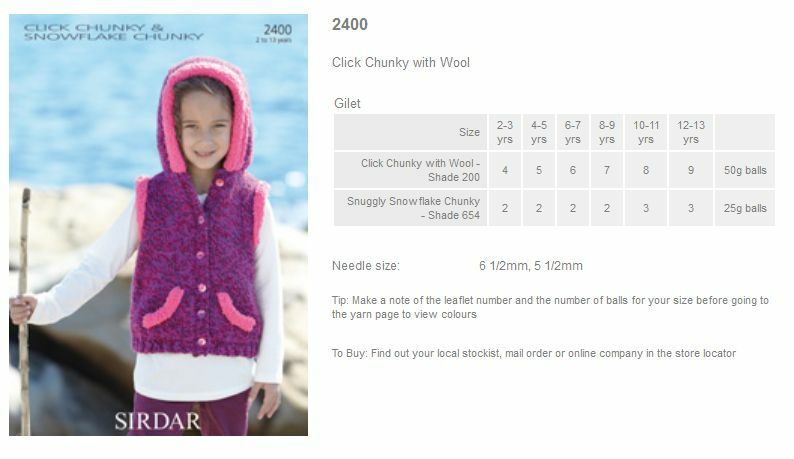 Leaflet with designs for a Gilet using Sirdar Click Chunky with Wool. 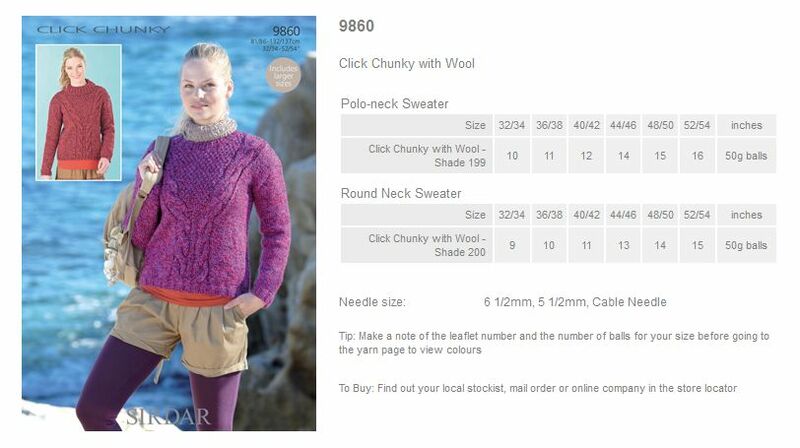 Leaflet with designs for a Polo-neck Sweater and Round Neck Sweater using Sirdar Click Chunky with Wool. 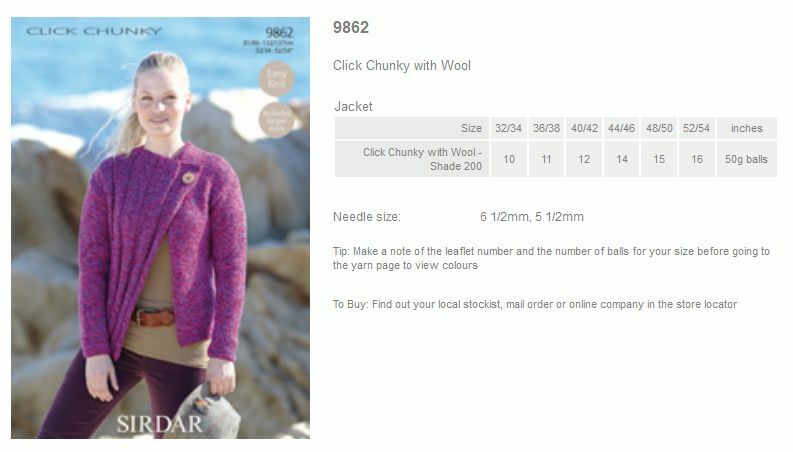 Leaflet with designs for a Jacket using Sirdar Click Chunky with Wool. 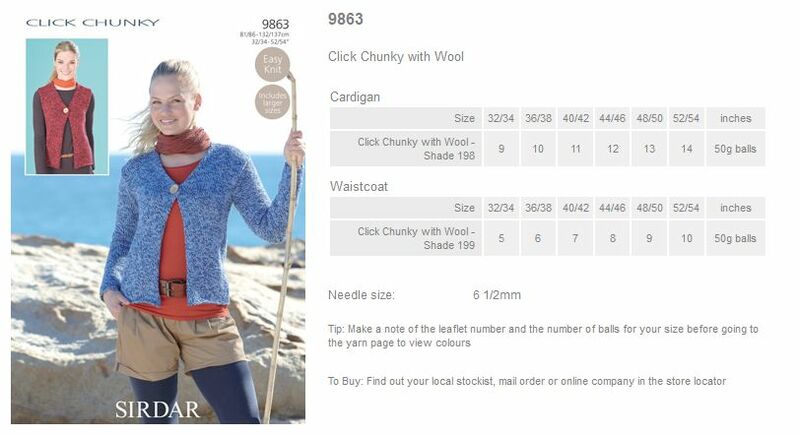 Leaflet with designs for a Cardigan and Waistcoat using Sirdar Click Chunky with Wool.